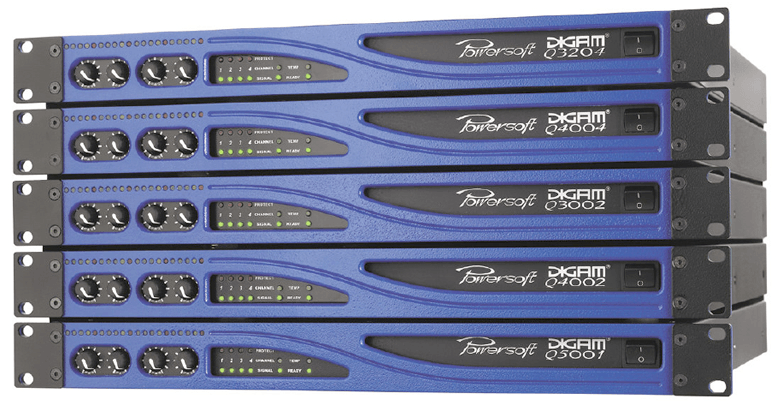 Powersoft DIGAM LQ 2804 – L-Series 4 channel class-D high power amp with 4x 700 Watt channels @ 4 Ohm, switch-mode power supply, all limiters and safety modes, bridge and parallel use possible, DSP and networking optional. XLR in/out, Speakon out, damping factor >200. Weight: 7.3 Kg. Size: 19″ x 1U x 358mm.